“Chocolate” the one thing that everybody consumes right from a toddler to the 100-year old man is the most derated product and is expected to market by itself. Who really takes it seriously??? Cadbury India, they have used Facebook Marketing as part of its marketing strategy to promote “Dairy Milk” a brand which is trying to take the quintessential desserts position post-dinner with the tagline – “Khaney ke baad such (kuch) meetha hojayey”. Entering the Indian market in 1948, Cadbury is a well-known and much-loved brand, owned by Mondelēz International. Cadbury remains at the top of the Indian chocolate market because of its quality products and the memorable ways it communicates with consumers. The confectionery brand wanted to measure the impact Facebook would have on its 2-month “badhti dosti ke naam” multichannel campaign, which shows people building friendships by sharing Cadbury Dairy Milk. Cadbury used Facebook Marketing to build on top of the 30 sec TV ad that they have created using this sweet saas-bahu (mother-in-law daughter-in-law) duo to use their brand “Dairy Milk” as a tool to build friendship and rapport. Most of us who have been married definitely understand the beauty and the enigma that the relationship between this duo brings to our lives so this interesting concept of sharing something sweet to explore a bridge connected with the audience on an emotional level. To position itself as a way for people in India to grow their friendships, Cadbury ran a 2-month cross-platform campaign, including digital and traditional channels. The brand created a 30-second TV commercial featuring a mother and daughter-in-law dancing in the street while sharing a bar of chocolate, and ran it as a video ad on Facebook. Using Reach and Frequency as parameters on Facebook Cadbury India encouraged its audiences to spread the campaign, share the campaign with their friends. In 2003 there was a crisis at Cadbury that “Worms” were found in Cadbury Dairy Milk which hit the spotlights vigorously as children were the main consumers of Dairy Milk. There were several arguments between the Cadbury Management & the Retailers regarding who was responsible for this incident. 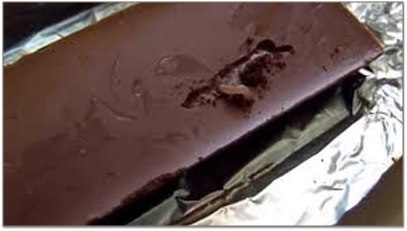 While Cadbury management argued that there was not a chance that the infestation could have been possible at the manufacturing end but only during bad storage conditions at retailers, Retailers argued that worms could not have dug into the chocolate bars at storage and should have been part of the manufacturing process only. This crisis, since it happened during the festival season slashed away 30% of sales from Cadbury’s books rather than add 15% sales during the festival which was the norm for the company. 2. Roped in “Amitabh Bacchan” as a brand ambassador to communicate the change in packaging to the customers & promise them that it was safe to eat Cadbury again. 1. Convince Media & public that the manufacturing process was absolutely safe and the infestation was only caused due to storage conditions & by introducing the new packaging this would be avoided in the future. 2. Bring trust back to the customers by introducing a genuine brand ambassador who is respected all over India. 3. Gain back sales that it lost since the crisis began.